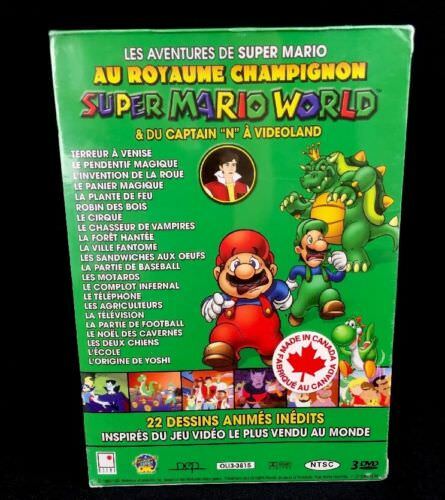 As a tribute to Mario and also learning some French inthe progress let’s take a look at the french dub of the Super Mario Bros Super Show which is part of the Super Mario Animated Trilogy and Nintendo Animated Universe. Here we have the intro and outro of the Super Mario Bros Super Show, the opening for the most part is the same as the the English dub just in French but the plumbers rap is entirely original and fun to listen to and figure it out, apparently not many of the dubs had an original plumbers rap and just re-used the English audio. I thought it’d also be a good idea to check out one episode of the show, chosen randomly I had a lot of fun re-watching this episode in French, got to learn some new vocabulary as well as listen to the different voices Mario, Luigi, Toad, French and King Koopa have in French. The voices fit the characters pretty well for the most part , it can be a bit hard to understand but I was able to follow most of the plot since there’s nothing too out there to make it difficult. I can’t tell if Mario has an Italian accent in this one yet. There are more episodes in that channel if you wish to check them out.